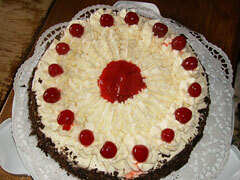 Sibylle loves to bake for you her famous German Cakes! 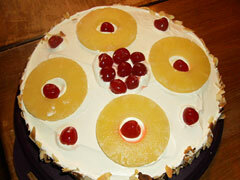 Preorder now for your next Birthday party! 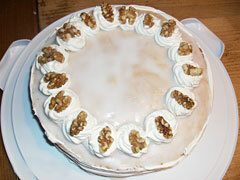 We offer an unique selection of homemade cakes. 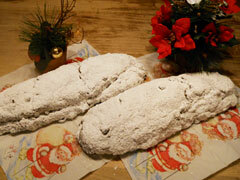 On Christmas don`t forget to preorder Sibylles famous Dresdner Stollen (Traditional German cake containing dried fruit, covered with icing sugar).